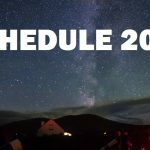 As you may know we are hosting some very cool talks at the Skellig Star Party this year. Brian MacGabhann, astronomer Nick Howes, and NASA scientist Dr Kimberly Ennico-Smith on Saturday 15th of August 2015 at the Ballinskellig Inn. Although they are free, we only have a limited number of tickets available. So anyone interested in attending the talks, go ahead and register for your tickets from our Eventbrite page link below. Are we going to be out of our league? We are amateurs who want to come and see the stars. 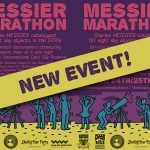 Will there be organized/guided night sky viewing? Does that matter? We just planned to come there to see the stars, and timed our trip for the dark of the moon. Then found out about this event while looking for accommodations. Any advice would be appreciated. Hi Jean, the talks are only one part of the event, and should be fairly accessible to most. 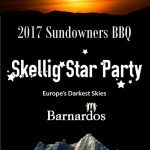 Skellig Star Party is all about the star gazing though, and there will be many people there to help and show you around the night sky.